Ah it was real frustrating trying to get a true to life image of the lipstick, looks kind of red but the swatch came out a little better after the jump. 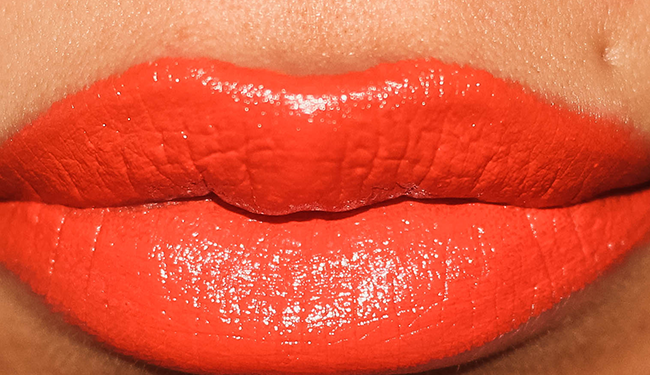 This is a sheen finish, medium orange shade, it's wearable which questions me as to why haven't I worn it more. Poor little thing just stuck in the back, I like Sleek's sheen lipsticks but sometimes I find that they are quicker to fade at times. This is sexual - orange really suits you! I seriously envy you right now. You suit ALL colours. 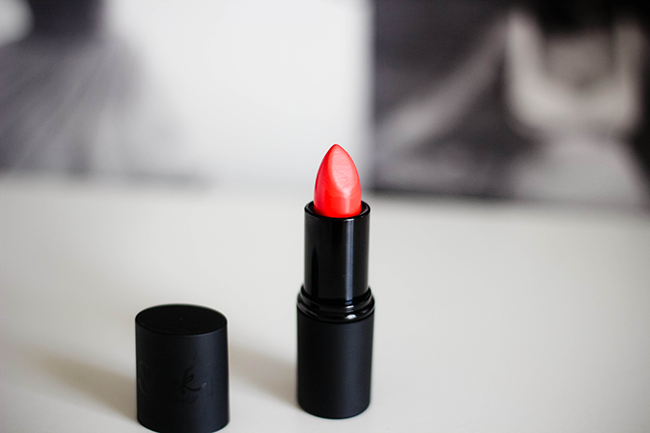 Has to be down to your voluptuous lips and perfect skin tone.